Scotland. It’s beautiful. Something about the trees, the lochs and, of course, the wide range of single malt whiskys as well. Oh and there’s some lovely walking up there as well. Such as the East Highland Way. It’s a nice walk. It has trees, lochs and, of course, places where you can purchase from a wide range of single malt whiskys. The lure of the East Highland Way was so strong that some people just have to hoist rucksacks on their backs, and rush to the train station with a good friend to do it. And who wouldn’t? Along the way, such a person will see other things too. Old bridges, lots of rivers, the remains of crofts and a hydroelectric scheme. And there will be some tales to be told at the end of it as well. Maybe at the end of it, someone who walked the trail will write some sort of book about it all. Well, stranger things have happened. 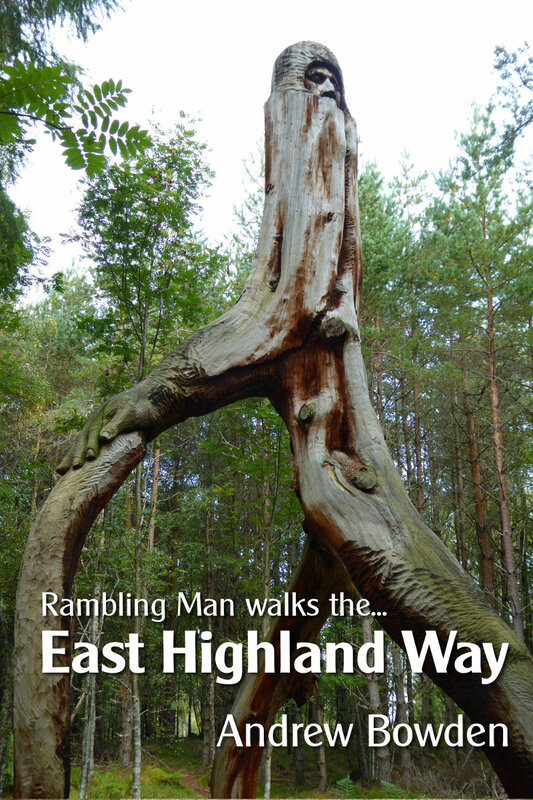 Rambling Man Walks the East Highland Way is available from all major ebook stores. Prices shown here are guide prices, and actual prices depend on each ebook store, and local taxes. First Published: 28 January 2015. Last Updated: 2 January 2018.